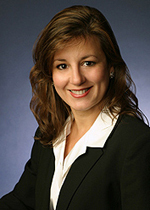 Elizabeth Mata Kroger is a partner in Martin, Disiere, Jefferson & Wisdom’s Labor and Employment Section. She has represented employers in state and federal court, and administrative proceedings on matters including discrimination, harassment, retaliation, defamation, unpaid commissions and wage and hour violations, non compete issues and trade secret violations. In addition to her litigation practice, Ms. Mata Kroger counsels corporate clients on termination and discipline matters, wage and hour issues, personnel procedures, workplace investigations, corporate restructuring, employment contracts, and their non-competition and confidentiality clauses. She also has extensive experience in the formation and documentation of employer policies and handbooks. Ms. Mata Kroger is regularly retained by clients to conduct training for executives, supervisors, and human resources personnel on a variety of topics including fair employment practices, documentation, discipline and discharge, internal investigations, and human resources compliance basics. Ms. Mata Kroger is fluent in Spanish.